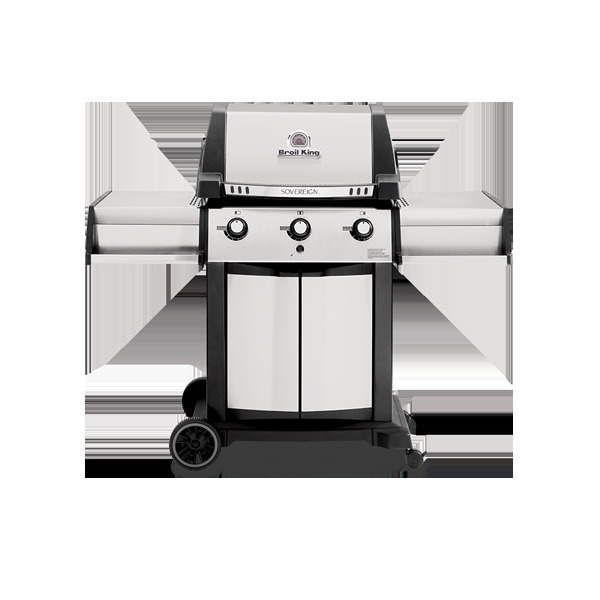 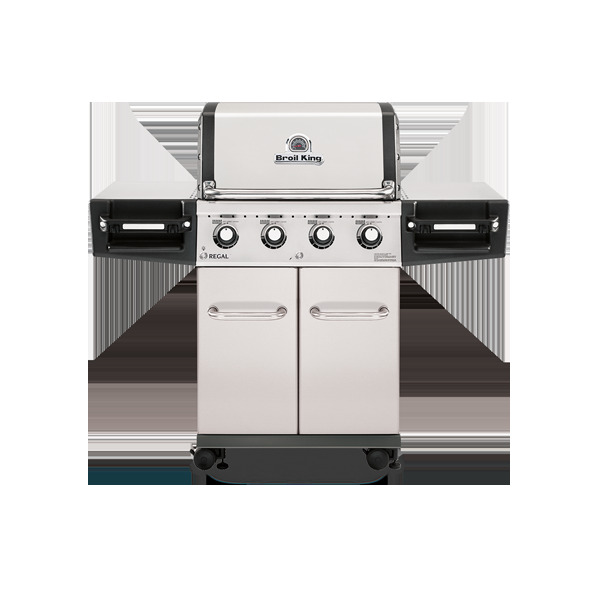 The Monarch™ 390 features 330 sq. 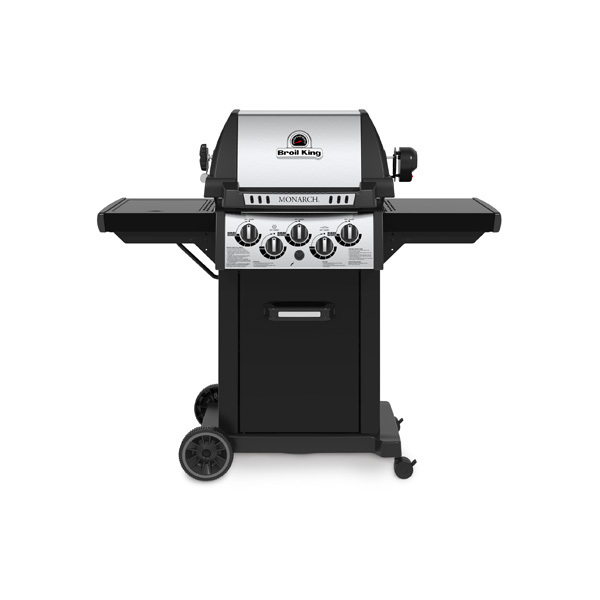 in. primary cooking surface and includes 3 stainless steel Dual-Tube™ burners, reversible heavy-duty cast iron cooking grids, stainless steel Flav-R-Wave™ cooking system, and electronic ignition. 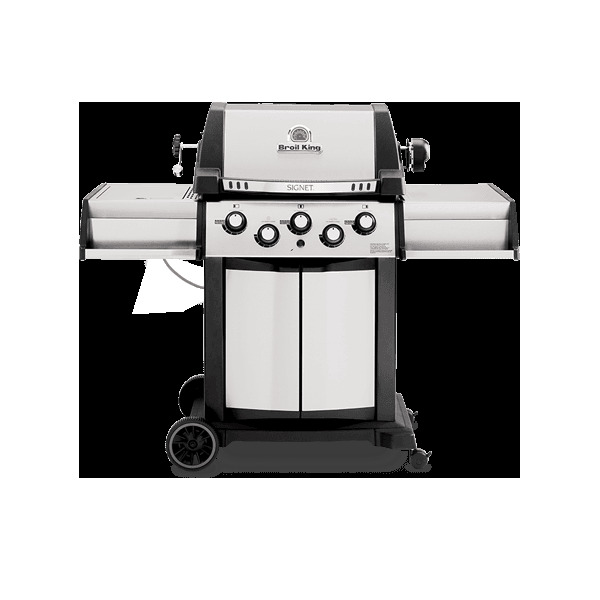 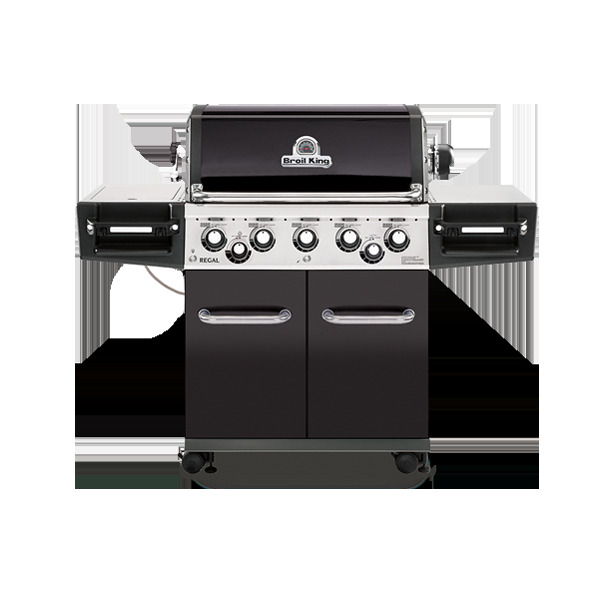 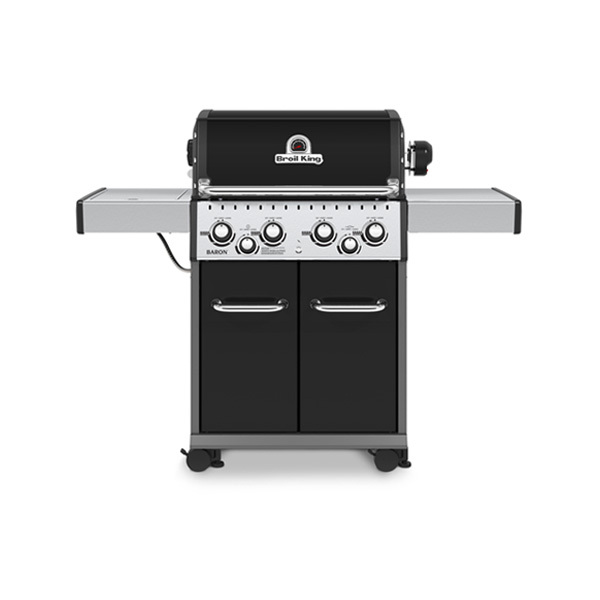 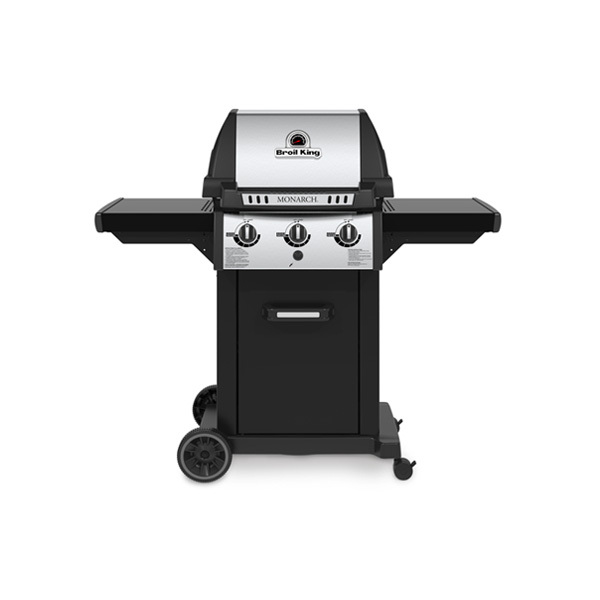 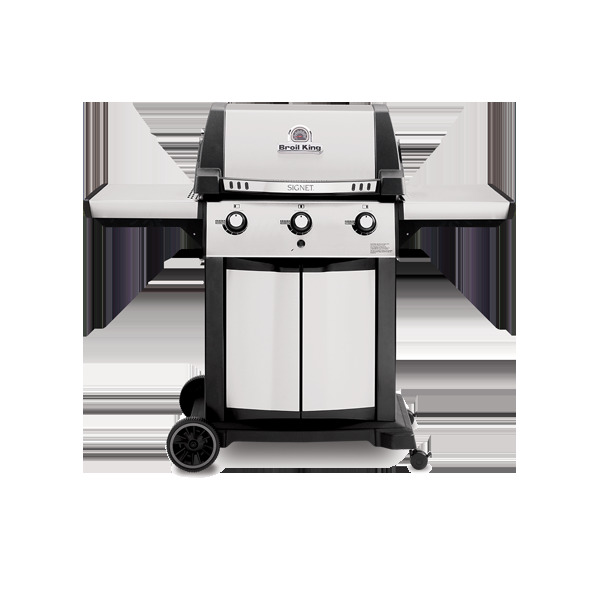 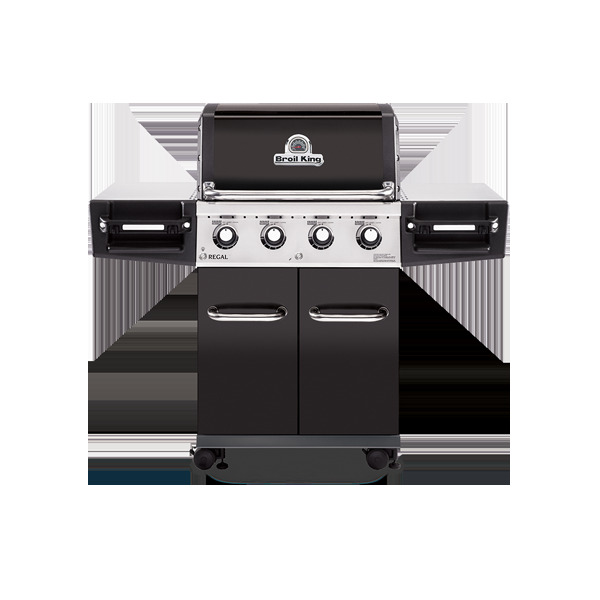 The Monarch™ 390 features painted steel drop-down side shelves and enclosed cabinet base. 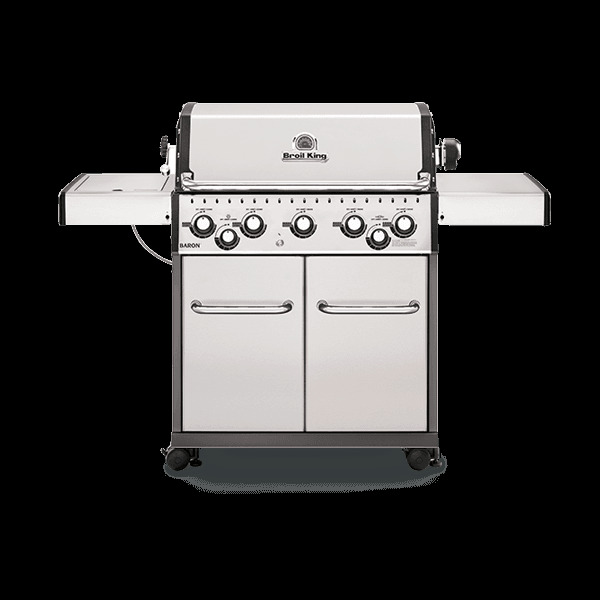 The Baron™ 490 features 444 sq. 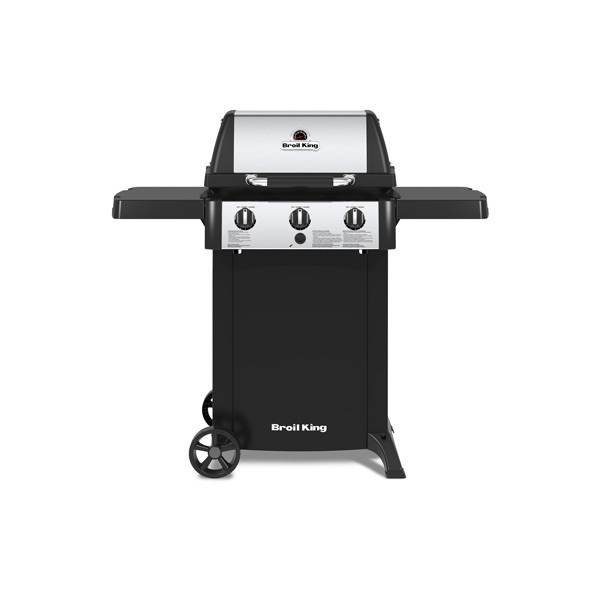 in. 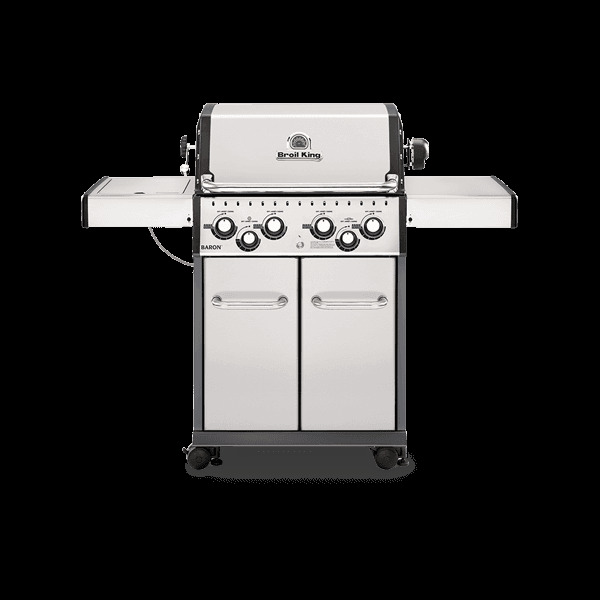 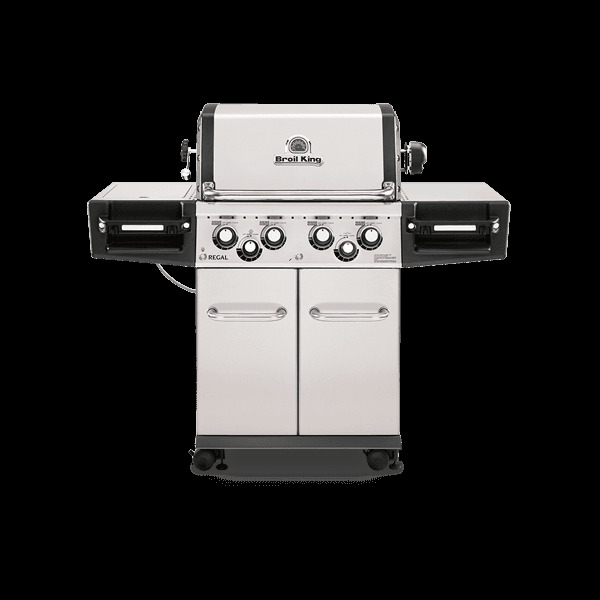 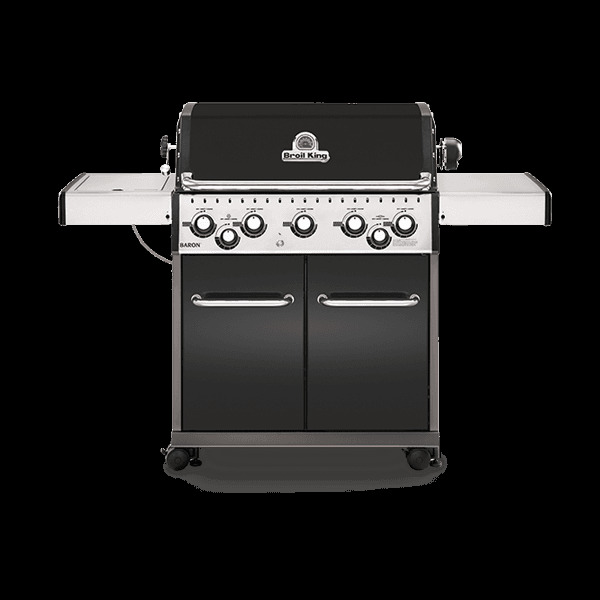 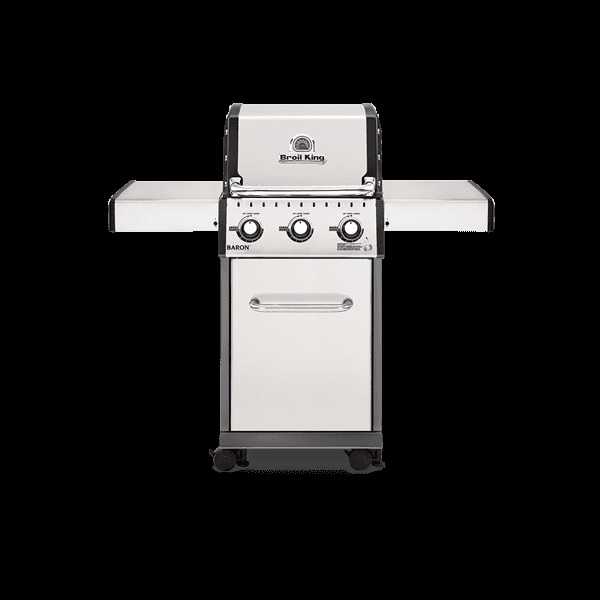 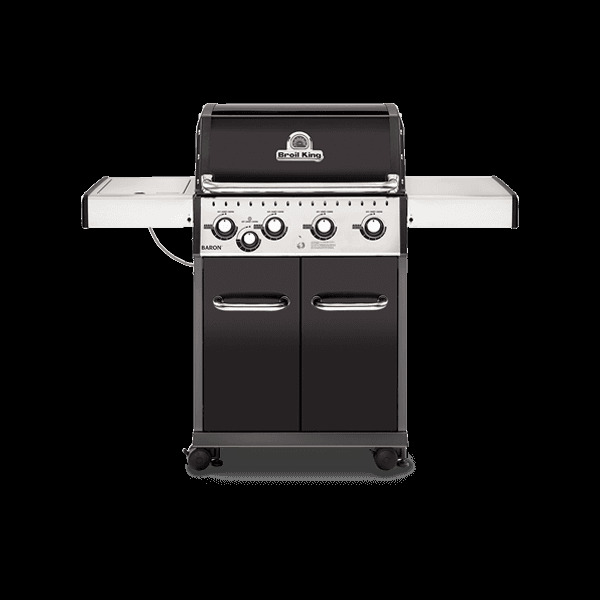 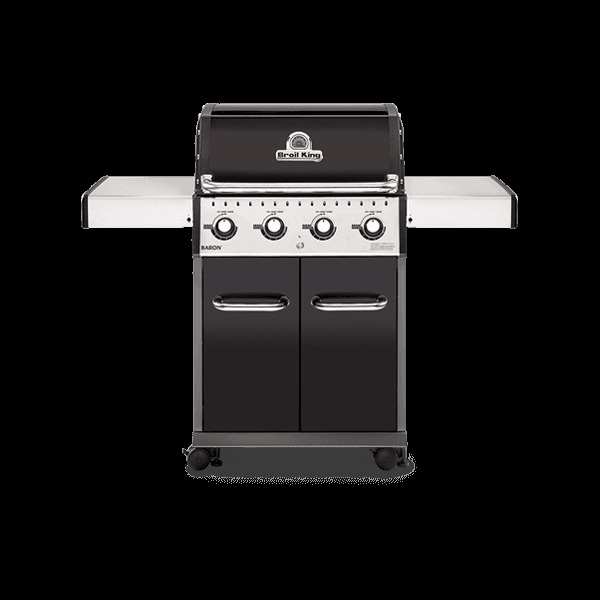 primary cooking surface and includes 4 stainless steel Dual-Tube™ burners, reversible heavy-duty cast iron cooking grids, stainless steel Flav-R-Wave™ cooking system, and electronic ignition. 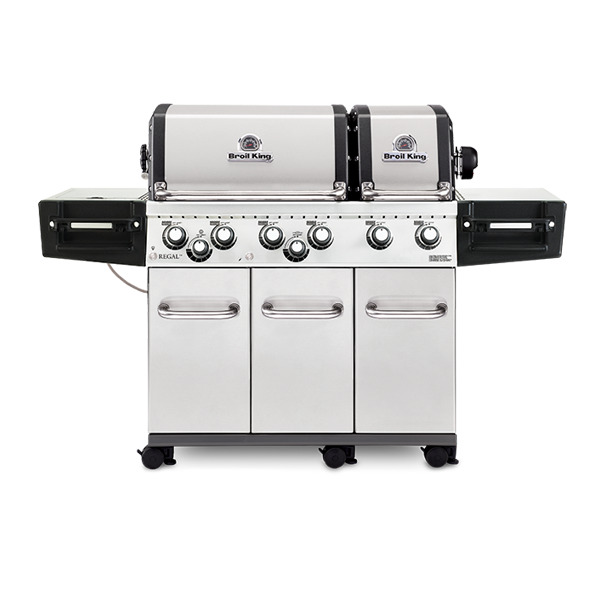 The 490 features stainless steel drop-down side shelves and enclosed cabinet base.